Poor inventory management can lead to lost sales and unhappy customers, two things grocery retailers want to avoid. With POS eCommerce integration, your grocery store can gain back control of your inventory. 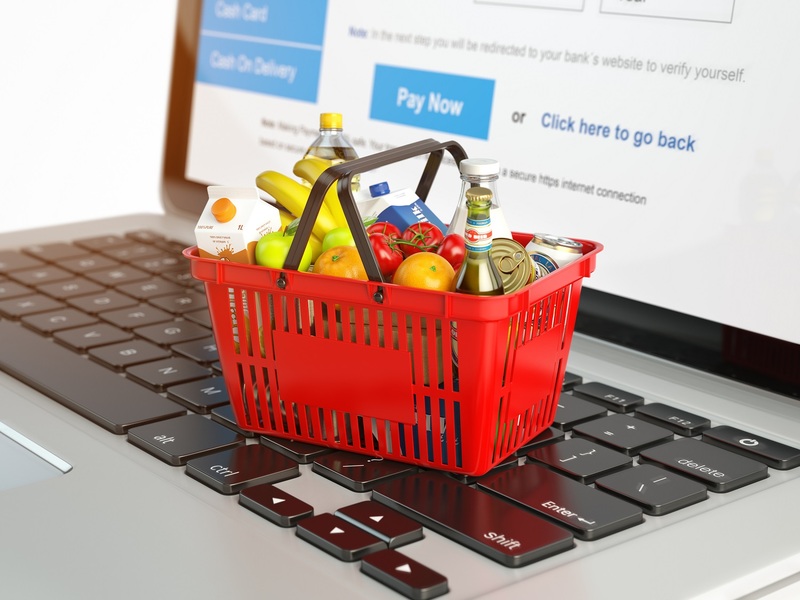 An integrated grocery eCommerce system means that you and your staff never have to manually adjust inventory levels again, eliminating potential human error. No matter if your customers are buying online or in-store, your inventory levels will be automatically adjusted and updated in your POS–giving grocers the visibility they need for proper omnichannel inventory management. Say goodbye to stock outs and canceled orders, and hello to stocked shelves, more sales, and happy customers. Having a separate in-store and online system can easily lead to price discrepancies. An item may be listed cheaper in store but more expensive online, creating upset customers. Don’t let your customers feel ripped off; instead, create a unified system to manage all of your product pricing. POS eCommerce integration makes pricing and promotions a breeze, and will update your products everywhere they’re sold at the click of a button. Have peace of mind knowing that your online customers are getting the same sales as your in-store customers, all while avoiding double entry and potential mistakes. Wouldn’t it be nice to track all of your sales, profits, and spending trends all in one location? With an integrated eCommerce system, you can do just that. Instead of trying to manually keep up with your grocery eCommerce sales, let your technology do the work for you. An integrated point of sale system will collect and track your finances across all channels, making it easier to manage transactions, pull reports, and keep accurate accounting and tax-related records. Did you know that 83% of consumers state that the ability to move from one channel to another is desirable, but only 50% of businesses support such cross-channel interactions? By implementing POS eCommerce integration, grocers can provide that highly sought-after omnichannel customer experience to their shoppers. Customer data, loyalty programs, and recommended products can be stored and implemented through one system, ensuring that your customers are recognized and rewarded no matter how they shop. When your grocery eCommerce platform is integrated with your point of sale system, you no longer have to search for business data. Your inventory, pricing, finances, and customer data will all be stored in one location, making it easier than ever to pull reports. Integrated reports can show grocery retailers things such as their best selling items, sales per day, customer trends and behavior, and more. All of this unified information allows grocers to make better, more informed business decisions customized to their specific needs and goals. If you’re looking to boost your grocery retail business both now and in the future, an integrated POS system is what you need to get started. Auto-Star specializes in grocery technology, providing integrated point of sale systems designed for your individualized needs. Our recent partnership with Mercato and Ecomdash allows us to offer independent grocers a complete POS and online ordering solution. Contact one of our representatives today for a free consultation on how our systems can enhance your retail operations.